polishing your parquet flooring should also be a part of your parquet flooring cleaning routine, but does not need to be performed too often – polishing parquet flooring every couple of months should be enough. The next mentioned method is not, strictly speaking, part of the parquet flooring cleaning routine, but more of a friendly option, available to you. 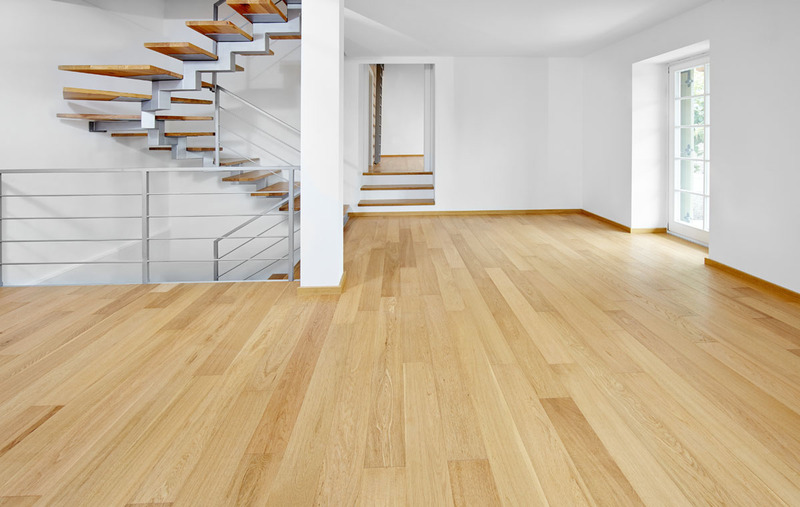 We’re talking about parquet flooring treatment, which involves re-sanding and applying new finish. You can to that each time you notice visible signs of damage, for example patches without surface finish, scratches, bumps etc. 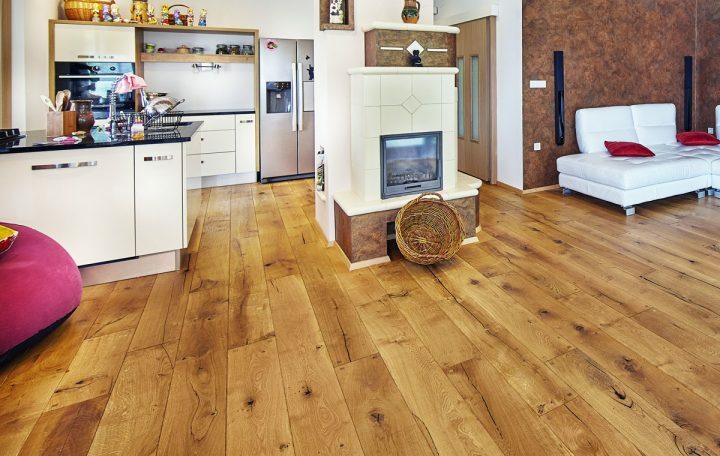 With that you’ll extent your wood flooring parquet’s life for decades! Not just too much moisture, the cleaning agents can also have an aggressive effect on wooden parquet, therefore it’s advisable to buy special products for parquet flooring cleaning. We can, however, also make it ourselves. We only need to mix about a galleon (around 3,5 litres) of warm water with a half a cup of white vinegar. For a nicer scent, we can add a couple of drops of essential oil. If you’re preparing for a thorough parquet flooring cleaning, you can add some plant based soap to your mixture as well. We could write an ode to all the advantages of wood flooring parquet, but we’re afraid we might not find enough beautiful metaphors to describe its glory. Suffice to say that wood flooring parquet offers comfort and durability like no other alternative, comes in several parquet flooring dimensions, thicknesses, colures and wood species, gives you a comfortable and luxurious ground to walk on, transforms any place into a home and is a top choice for a lot of customers. Try it out!